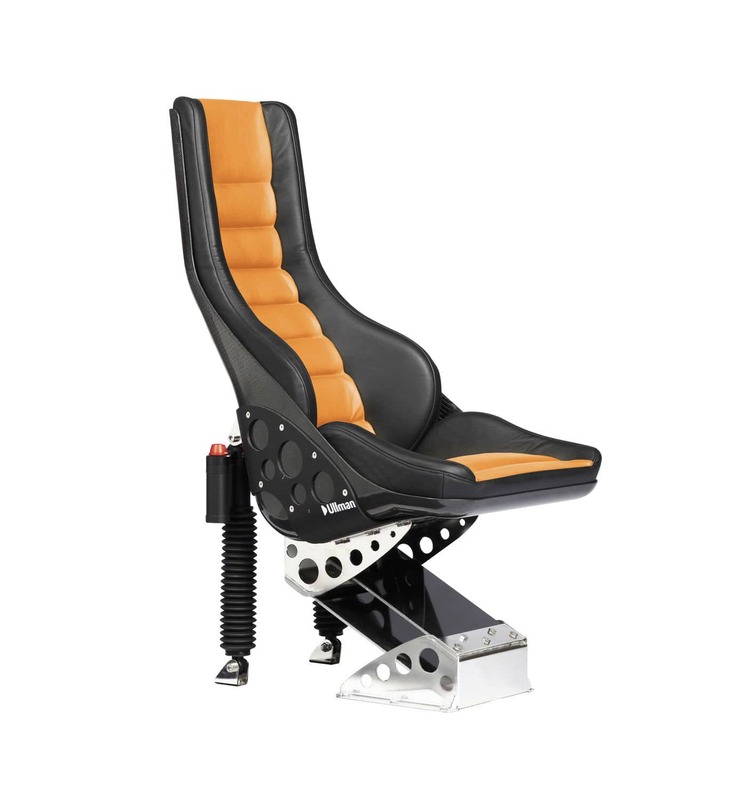 The Daytona seat is the lightest seat in its category available on the market. It is designed to be used in limited spaces and to give shock mitigation for extreme high speed boats. 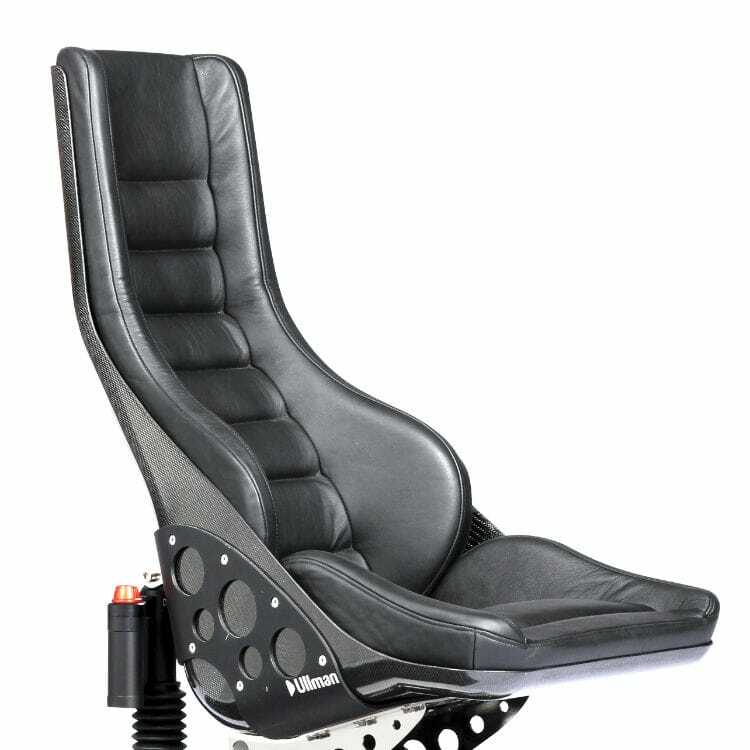 The Daytona Seat is a monocoque carbon fibre shell with neoprene or leather upholstery. The shell is ergonomically designed to follow the shape of the body and put the user in the best position possible. The seating geometry is designed to give passengers the optimal body posture for handling both static and dynamic loads. The Ullman semi active progressive shock mitigation system with twin shock absorbers provides high levels of comfort in extreme sea conditions. 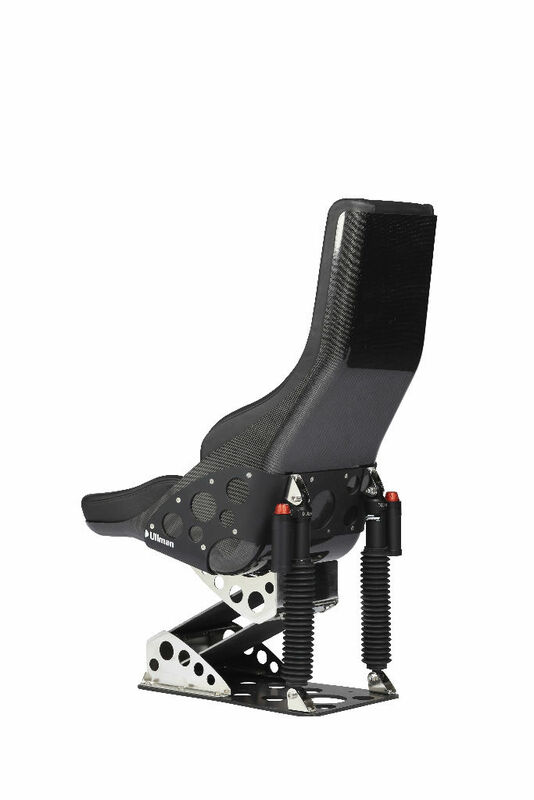 The Ullman Daytona suspension mechanism features the revolutionising new DDSuspension System (DDSS) which provides 15cm of travel and optimal lateral suspension. The whole Ullman marine seating range is specified and produced with high quality materials. The Daytona spring unit is manufactured of multi composites and stainless steel (316). The progressive damper is manufactured of aluminium (5077) and stainless steel (316). The upholstery uses water resistant leather for the external surfaces over multi-layer foam for optimal comfort. A UV and water protecting seat cover is supplied. Standard seat colour is black with multiple colour upholstery sets available to order. Optional accessories for the Ullman Daytona seat include black anodized aluminium frame, stainless steel or black insulated handles. Heavy duty water resistant vinyl upholstery can be specified for open cockpits. Seat belt options include 4 point Air Tech safety belt or a 5 point Race Certified harness.